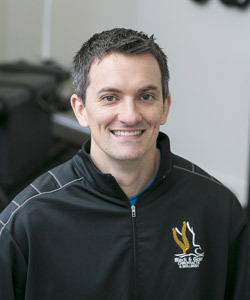 As an athlete, Dr. Jake enjoys the active lifestyle aspect of chiropractic. He likes helping his patients pursue the sports and activities that they are passionate about. Chiropractic care takes a preventative approach to your health. It’s not about giving medication once there’s a problem, it’s about helping bodies function at their optimum ability so problems don’t arise in the first place. Dr. Jake, who was valedictorian of his class at Palmer Chiropractic College in Davenport, feels we live in a culture that’s focused on treating symptoms instead of addressing the underlying causes of problems. “We want to get our patients to understand that they may not feel better immediately, but that it takes time.” Dr. Jake believes that, like exercise, getting better is a process. Our plan is to find the underlying cause, come up with a plan to help our patients get well and then educate them on how to maintain their health. Outside the office, Dr. Jake and Dr. Jess enjoy spending time coaching their little girl’s soccer team, and going on family outings. Dr. Jake also helps to organize and run a memorial 5K every year in honor of his uncle who had passed away. Proceeds benefit a local school. 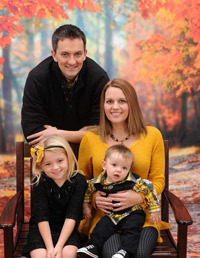 This active husband and father also runs in many other 5K and 10K runs, and plays in a basketball league.